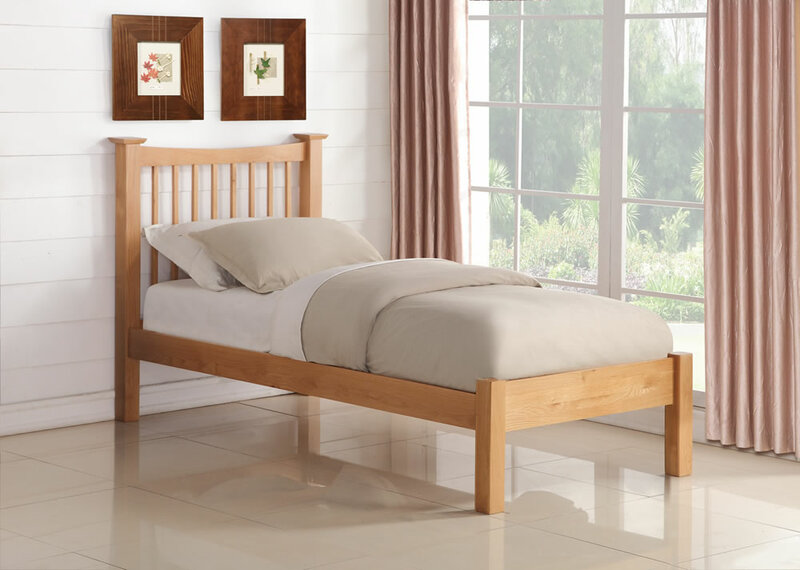 The Flintshire Furniture Aston solid American Oak natural finished bed frame offers a solid wooden slatted base, low foot end and tall slatted detail headboard. 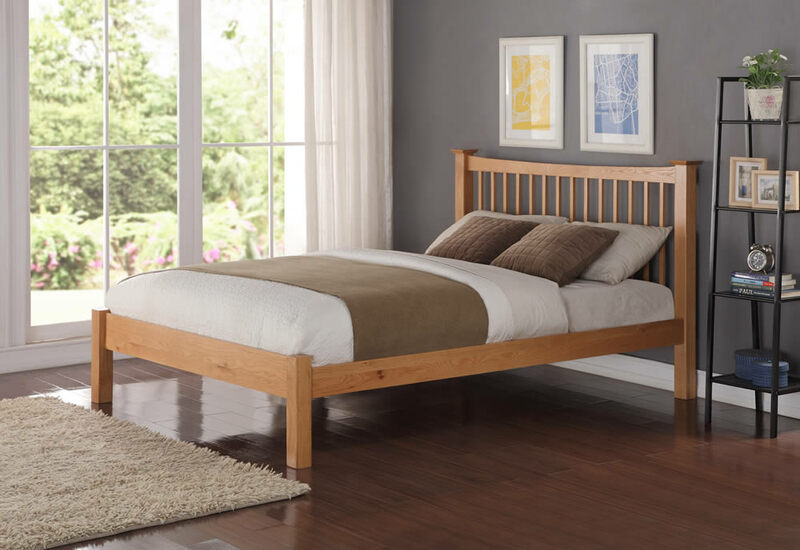 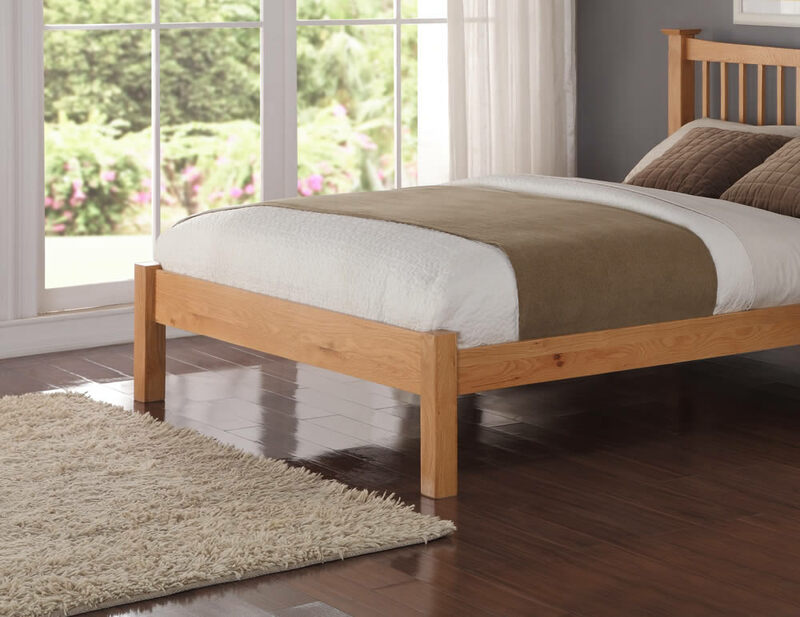 The bed frame is made from good quality American Oak with sturdy corner posts and a gentle curve in the headboards top rail. 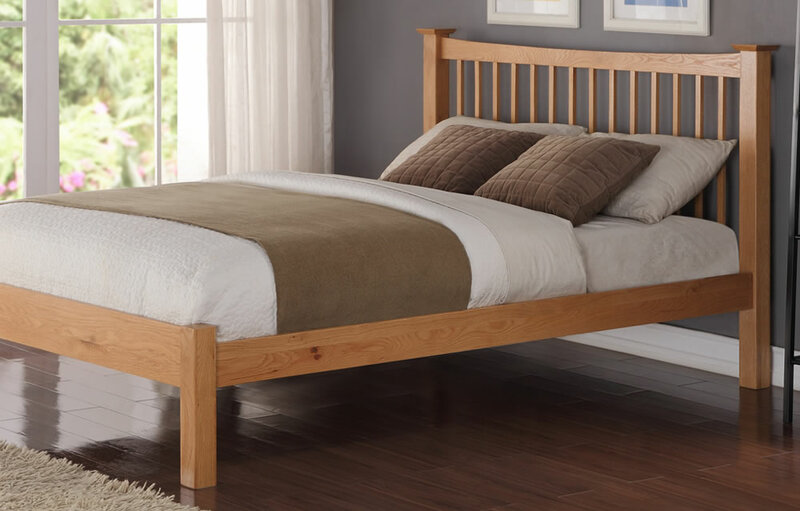 The Aston bed frame is available in a choice of four standard UK sizes including single, double, king, and super king.